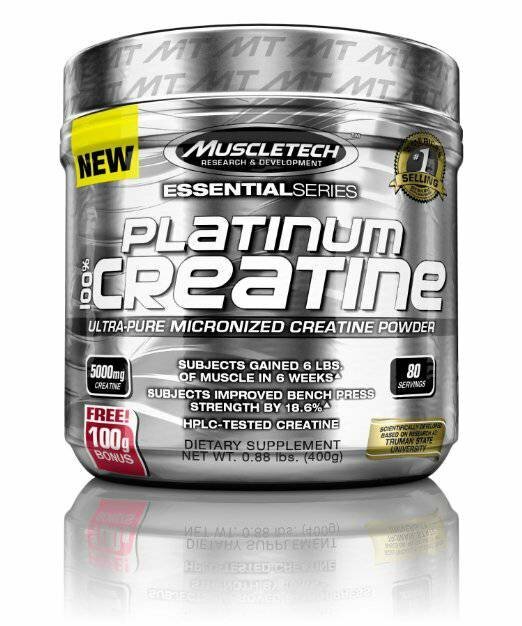 Ultra-Pure Micronized Creatine Powder - Platinum 100% Creatine provides your muscles with the world's highest quality and most scientifically researched form of micronized creatine. Creatine is shown to increase lean muscle and improve strength and endurance. The Platinum 100% Creatine Advantage - Platinum 100% Creatine acts as a phosphate donor pool to hard-working muscles, allowing you to train harder for longer. That means real gains in size and strength that can't go unnoticed! Builds 6lbs of Muscle - In one study, subjects using the dose of creatine found in one max serving of Platinum 100% Creatine gained an amazing 6 lbs. of muscle in just 6 weeks. And in a separate study, test subjects increased their bench press strength by an amazing 18.6% in just 10 days!